Does this seem like excessive vibration to you? Got a chance to fly my Tello outside today. Weather conditions almost perfect. Sunny, warm, with a light breeze. However, when I checked the video it seemed my drone was being buffeted around in a hurricane. I've watched quite a few Tello videos and they all seem to offer a much more stable image than this. I'd appreciate your thoughts on my test video. Does the vibration seem excessive? Is image stabilisation working? I'm well aware of the video limitations of the Tello but this doesn't seem to be the result of dropped frames or poor resolution. I'd be grateful for your input. Londroner, were you in fast or slow speed? Some people have reported when they are in fast mode the video gets choppy and pixels sometimes. If it was a little windy that could have caused it to seem less stable than usual with tello trying to center its self. No, running in Slow. I checked. Update. I've since been informed that the Tello produces shaky video in even the lightest breezes, increasing to the infamous 'jello effect' (or jelly - I'm British!) is high winds. So stable outdoor videos are almost impossible unless you have a flat calm day with not a breath of wind. 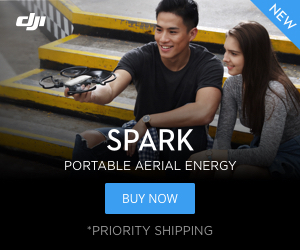 Guess you can't ask much more from a tiny, 90gram drone. If you haven't done it yet, take some pictures and download them. The tello takes some great pictures for such a small drone! I think you will be pleasantly surprised! As others have posted, hopefully the Tello 2 will have an sd card slot to download live video, it will really improve the quality instead of the wifi connection. what Phone are you connected via? Thanks, potentially great tip but I'm on iOS and it doesn't seem to be supported in the browser version either. Phone used for connection - iPhone 6 Plus. Yes, done that and agree. One of the main selling points of the Tello for me was it could be used as a flying 'snapshot' camera. I never really planned to do a lot of video work with it, I was just surprised at the quality of the video when I did. I would say that footage is a more shaky than the normal, I filmed at a beach the other day as it was pretty stable (obviously no where near with a gimbal). Had a bit of a beach breeze but it held its own. Are you flying with prop guards outside by any chance? Prop guards are like sails when it comes to outdoor flying. That doesn't look normal to me: I've flown in significant winds and never had shaking like that. It looks to me like the image stabilizer isn't working. I'd return it for another. That has more shake than normal. You may want to try flying over a different area as well. Nice even grass may give the positioning camera a little trouble locking onto something? Looks a bit more shaky than normal. For all of my production ready video's I upload them to Google Photo and use the excellent Stabilize function. WOW!!! Mike_ Thank You! I am referring to your suggestion on using the Google photo stabilization function!! It is indeed excellent!! I had a video just as shaky as Londroner's (after taking a photo, my issue as per above) and once the stabilization function completed it was basically perfect!! Had no idea this could be done on a phone!! Any update on this issue? Stable until I take a photo and then unstable right after... but if I turn tello off and back on its perfect again until I take a photo.